Jurgis ir drakonas - Why it’s a must to try our lasagne? Why it’s a must to try our lasagne? Even though we are famous for our pizza, but we are trying to make all our dishes perfect. Especially many of our clients love lasagne – maybe because we are making it only from the best products and following Italian traditions. We use fresh lasagne sheets with a lot of eggs and whole grains, the sweetest San Marzano type tomatoes and the meat sauce, which is stewed for 5 hours! 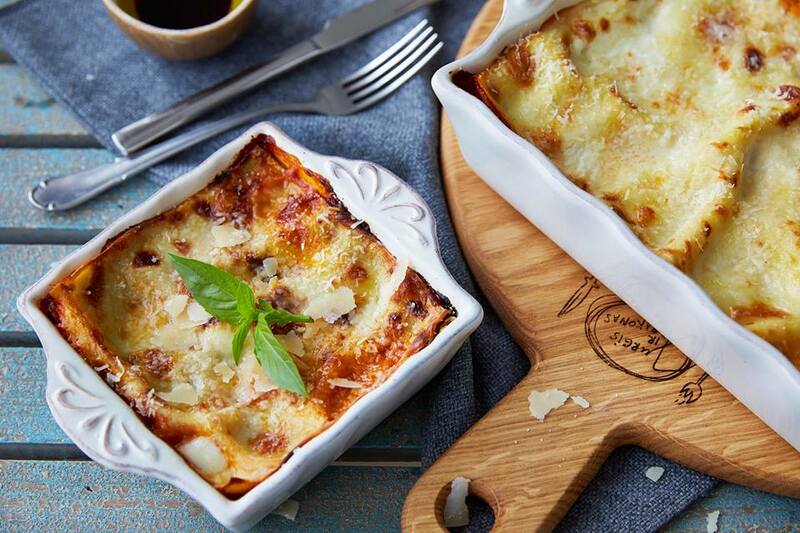 Of course there is also plenty of béchamel sauce and Italian Mozzarella and Parmesan…So we are proud to say that our lasagne is a real treat! We are looking forward for everyone to try it and Thursday is the best day to do it because Thursday is lasagne day when you can have it for the special price as a lunch deal!